Ease into your Andalusia travel and discover the stunning colossal Gothic architecture in Seville! A very convenient and enjoyable way to see a lot of Seville, especially if you only have 4 days to take in everything. We were able to get off the bus exactly where we wanted to explore. Maps, brochures very informative. I felt that there could have been more insight given during the audio guide. Seville is a beautiful place to visit and perfect for us to celebrate our wedding anniversary. 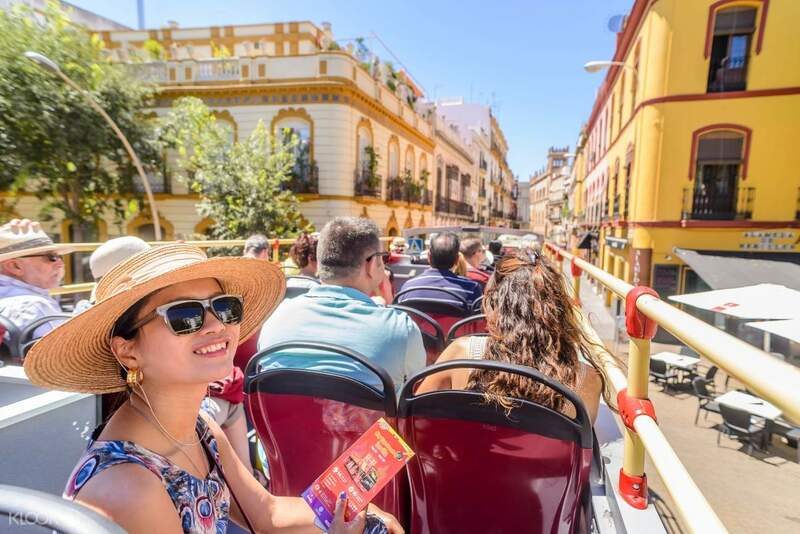 Discover the best of Seville aboard a convenient and comfortable Hop-on/Hop-off service! 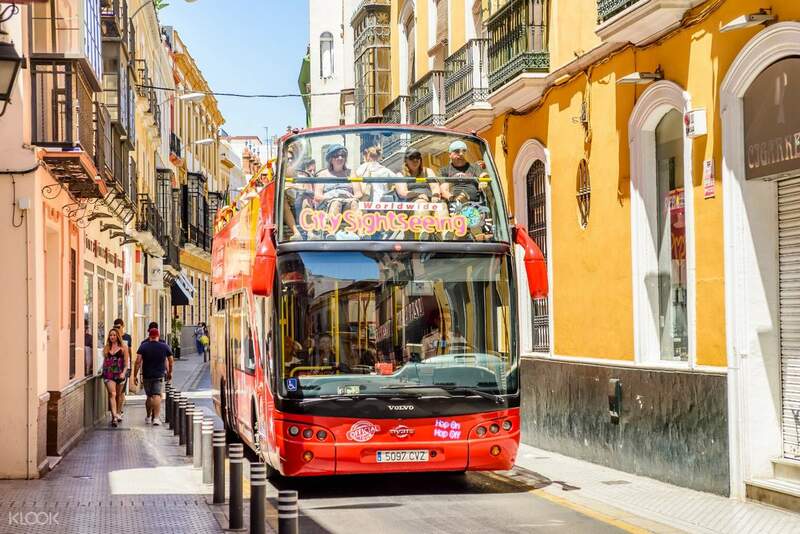 Take advantage of a comprehensive city tour on a double-decker that will lead you to the nostalgic Andalusian paradise. 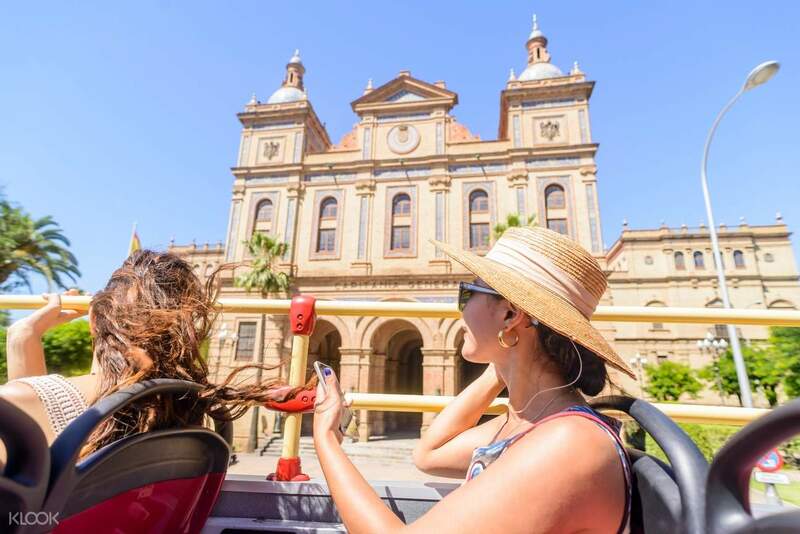 Seville is an monumental historic center that has an enrapturing mix of gothic and baroque artistic pursuits from centuries-old institutions down to the contemporary points of interests that have kept the tradition alive to this day. Save some valuable time on route planning with 1-day and 2-day package offers designed for a stress-free travel during your stay. Your insightful journey through the city will first take you to the Torre del Oro, a famous landmark offering spectacular views of Seville from the top. Move onto another cultural site in the Plaza de España and Plaza de América, both of which boasts Regionalism and Mudejar architectural styles. The two public squares are flanked by the Museum of Popular Arts and Customs, The Royal Pavilion, and the Parque de María Luisa. Stroll along San Jacinto street, a pedestrian commercial street that is close by the Triana bridge. Your final stop is at La Macarena, which is a glimpse of Seville way back in the past. Book your 1-day or 2-day tickets now and see the best of Seville! A very convenient and enjoyable way to see a lot of Seville, especially if you only have 4 days to take in everything. We were able to get off the bus exactly where we wanted to explore. Maps, brochures very informative. I felt that there could have been more insight given during the audio guide. Seville is a beautiful place to visit and perfect for us to celebrate our wedding anniversary. A very convenient and enjoyable way to see a lot of Seville, especially if you only have 4 days to take in everything. We were able to get off the bus exactly where we wanted to explore. Maps, brochures very informative. I felt that there could have been more insight given during the audio guide. Seville is a beautiful place to visit and perfect for us to celebrate our wedding anniversary. We went in the winter and it's still packed! An interesting route- both popular and accessible as well as science pavilions being reused as scientific offices . We went in the winter and it's still packed! An interesting route- both popular and accessible as well as science pavilions being reused as scientific offices . 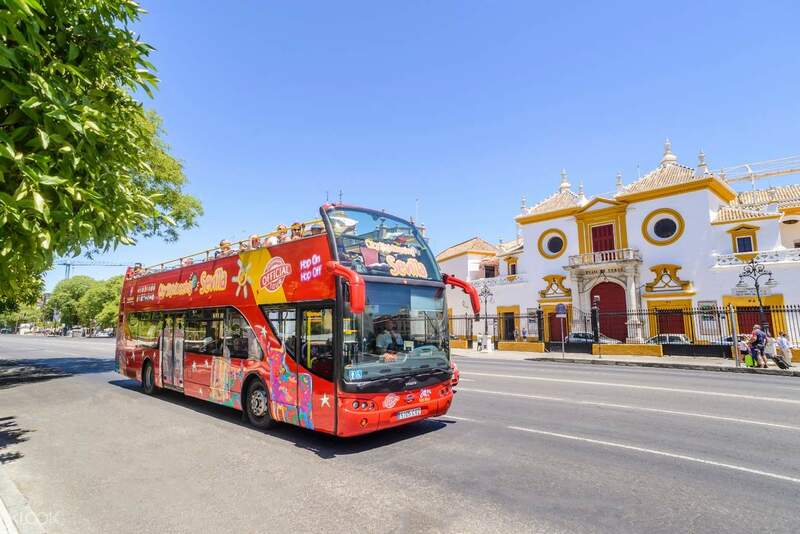 The bus tour is recommended especially if you don't have enough time to spend in Seville. The bus tour is recommended especially if you don't have enough time to spend in Seville. The signs for the bus were clearly marked, there are people clearly marked at each atop and are super helpful when answering questions. The app was useful, and we were able to follow the route from start to finish as well as get off and on and see all of the sights we wanted. The signs for the bus were clearly marked, there are people clearly marked at each atop and are super helpful when answering questions. The app was useful, and we were able to follow the route from start to finish as well as get off and on and see all of the sights we wanted.